Based in Manchester, UK, the directors of Kesher Communications have been providing IT services to businesses for over 10 years. Now, we provide bespoke VOIP solutions through our inhouse platform based on Asterisk. Knight Corporate Finance was founded by Adam Zoldan and Paul Billingham in December 2008 with the specific aim of advising businesses and entrepreneurs in the telecommunications, media and technology (TMT) sector. Both founders spent long periods of their careers in senior commercial and operational roles in the sector and bring a unique level of experience to transactions based on genuine industry knowledge. Knight advises its clients on Strategy, Funding, Acquisition and Exit, and has completed 70 transactions establishing itself as one of the leading corporate finance boutiques in its sector. The business has a team of 9 professionals with offices in London and Warrington. 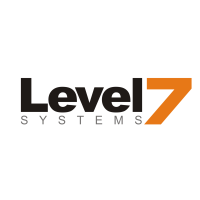 Level 7 Systems delivers business and residental communication services based on the SIP (Session Initial Protocol) technology. We are commited to providing innovative, cost-effective communication solutions to our customers. Localphone allows you, the customer, to make low cost calls from any location in the world—often for less than the price of a local phone call! Loho provide networked services and consultancy, with a focus on voice-over-IP and bespoke solutions.